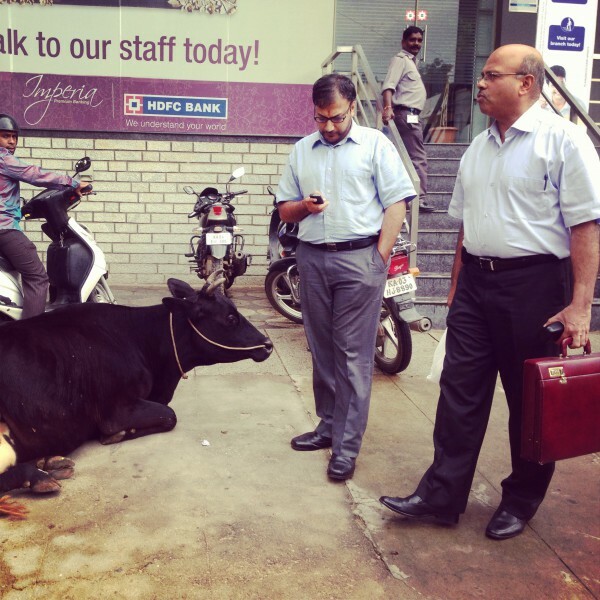 “Bengaluru brothers.” In front of a bank, businessmen and cow commingle. 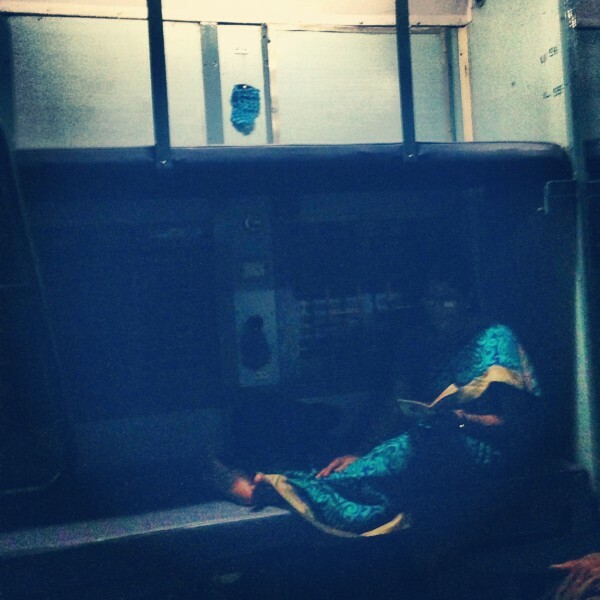 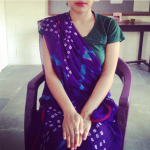 “Auntie reading on evening train, Canacona to Mumbai.” This woman and her partner helped shoo off a lecherous train conductor for the author, for which she is greatly indebted. 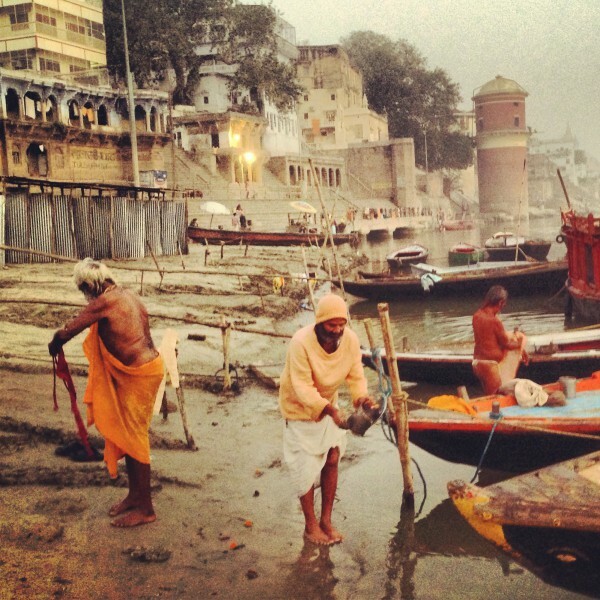 “Three elders in three directions.” Ganges River, early morning Varanasi. 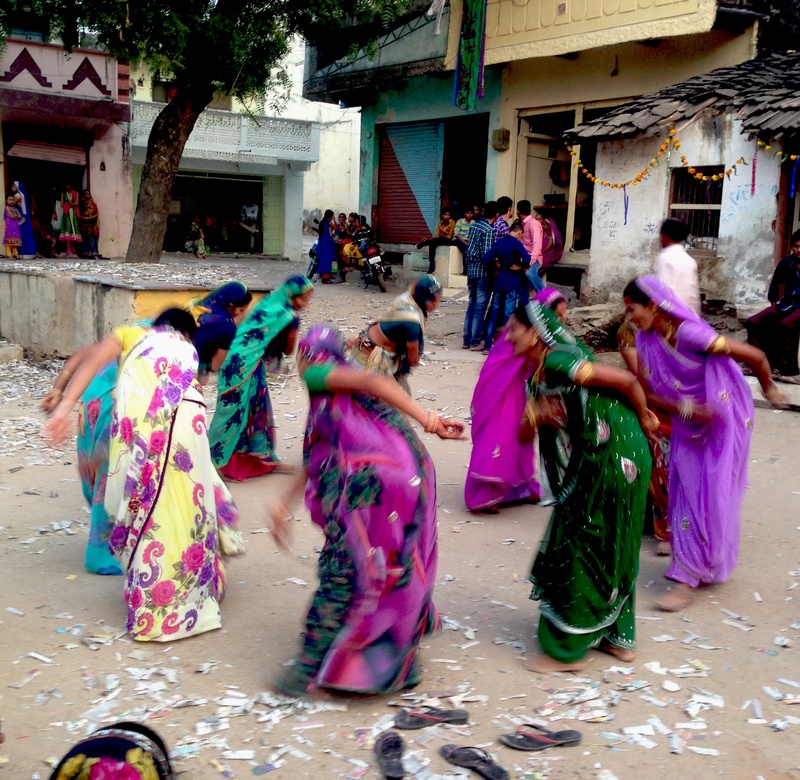 “Our Diwali dances.” Women of Bori Village, Banswara District, Rajasthan. 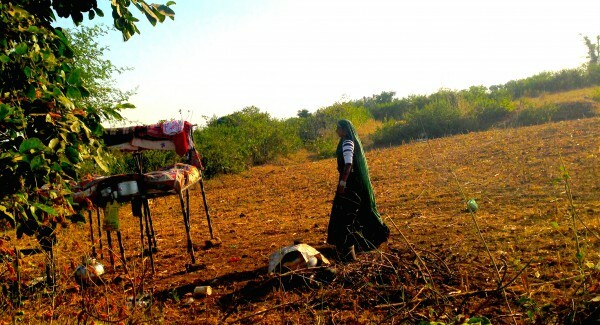 “Walking to bed.” Woman walking to quilted roadside bedding, field in Banswara District, Rajasthan. 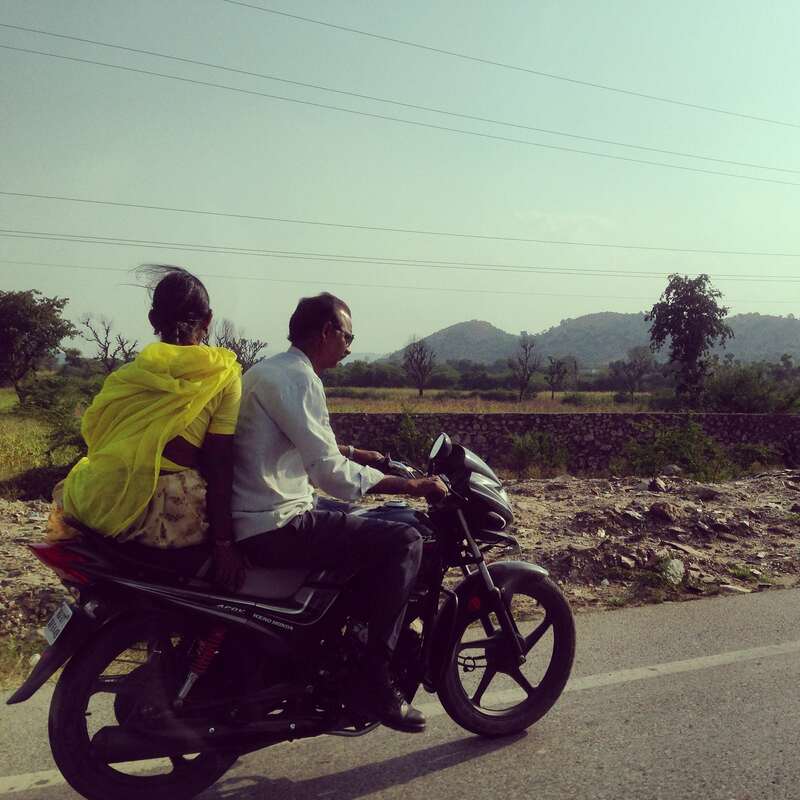 “On the run, Rajasthan.” Man and yellow-saried woman on motorcycle. 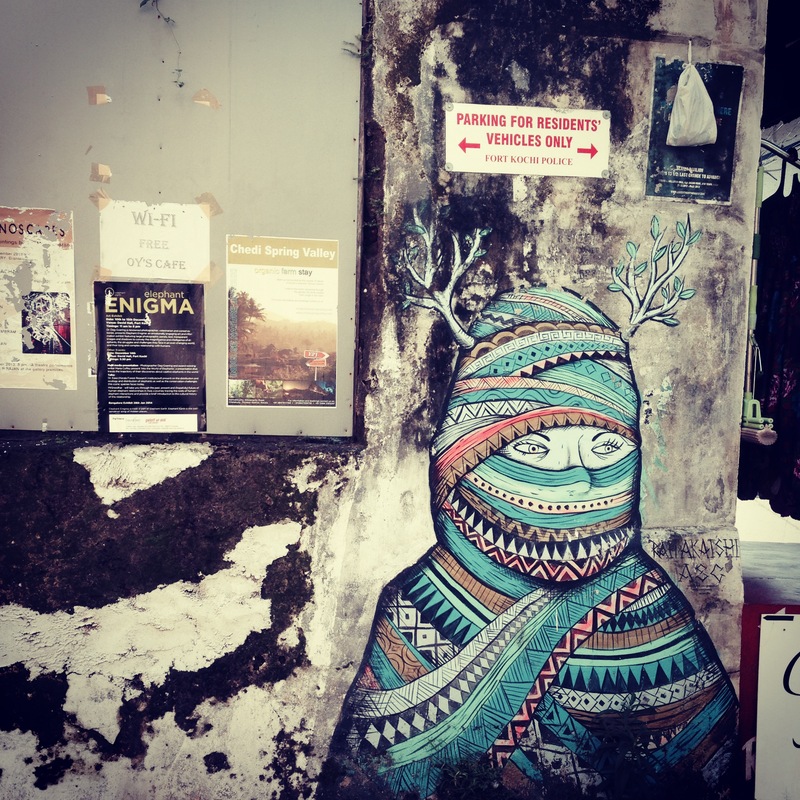 “Treejabi.” Street art, Fort Kochi. 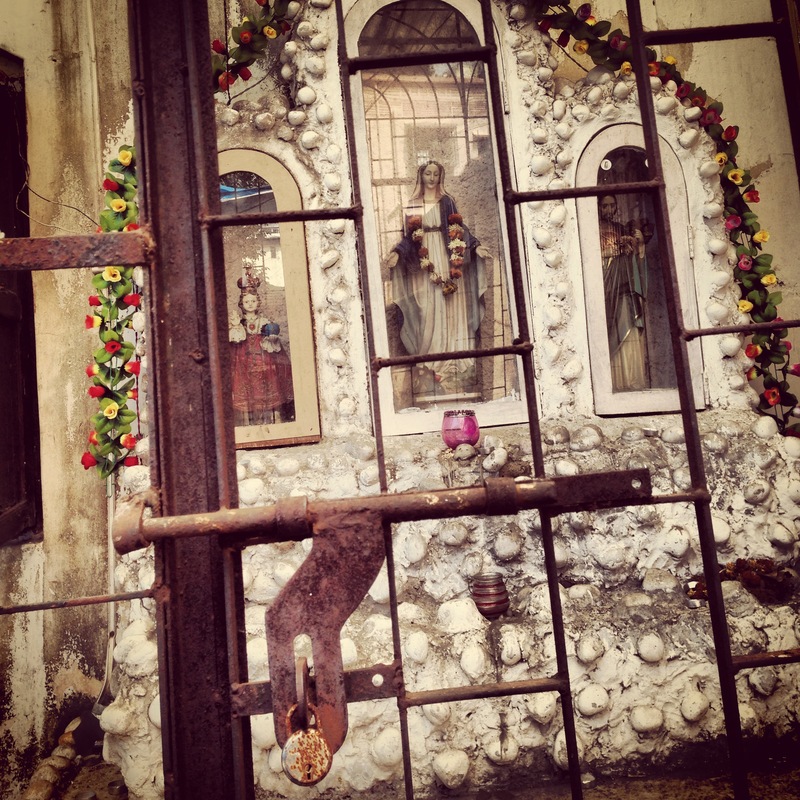 “Mary, lock and key.” Chapel detail. View from outside the gates, Mumbai. 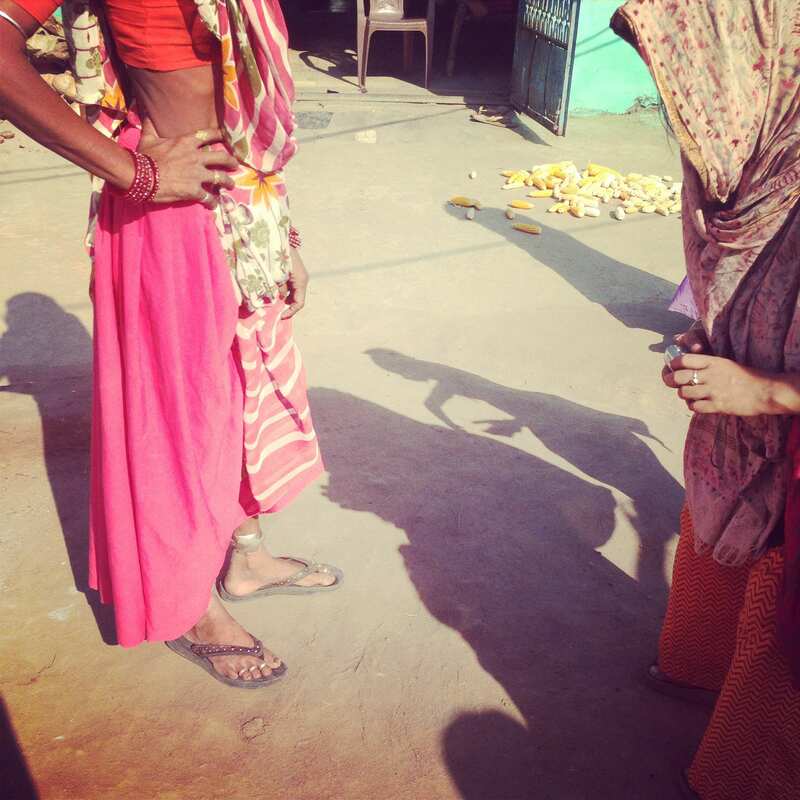 “The sum of knowing exactly what we want.” Auntie with hands on hips, as visiting artist photographs her ankle jewellery. Baroda Potters’ Village, Rajasthan. 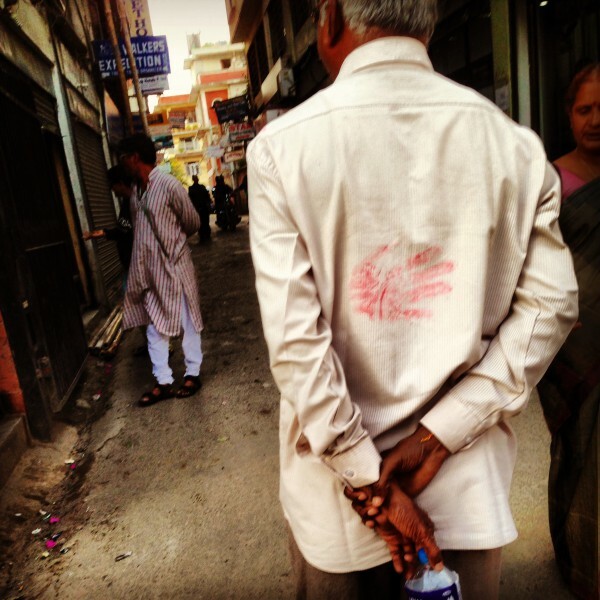 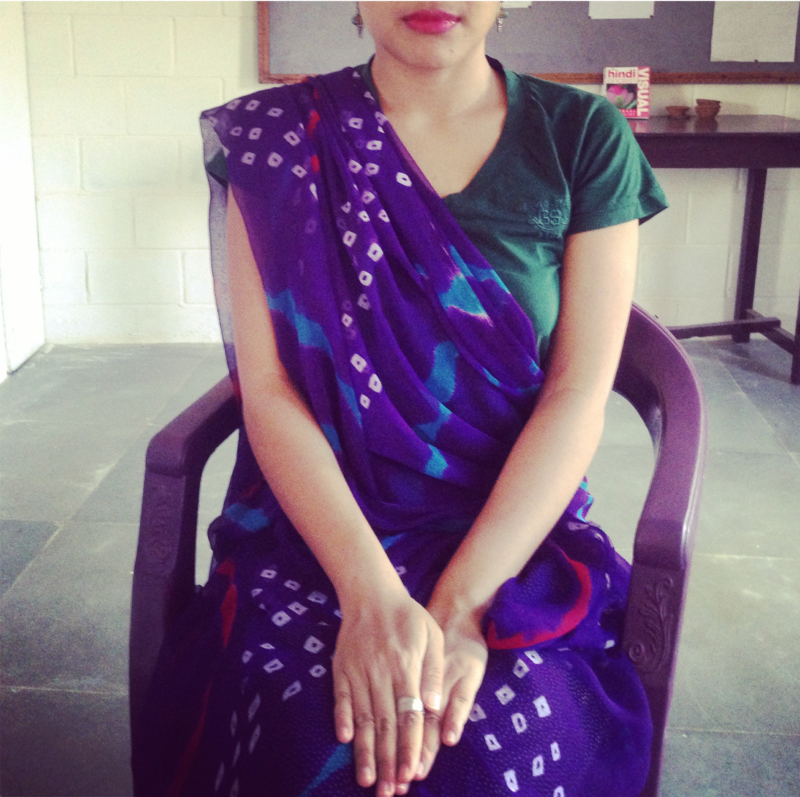 “Caught red-handed.” In Kathmandu, a red handprint spotted on the back of a pedestrian’s shirt.